Orma May Vanater, 86, born January 22, 1932. She was the fourth daughter of Arthur Robinson Coleman and Sylvia Agnes Coleman. She was preceded in death by both parents, four brothers and two sisters, Benjamin, Buford, William, Arthur, Zelma Edmonds, and Ann Ellen Mercer. She is survived by her husband Robert, her four sons, and her sister Ethel Gibson of Huntington Beach CA. She was married to Robert R. Vanater Sr. for 62 years, the mother of four sons Robert Ray Vanater, Rex Edward Vanater (Jennifer), Roy Coleman Vanater (Eden) and Ryan Arthur Vanater (Tifany), 15 grandchildren Robert Whitney Vanater, Megan Marie Smith ,Brent & Lacey Pickens, RJ & Heather Vanater, Robinson (Robby) Lee Vanater, Jordan Nicole Rogers ,Cody Michael Sealey, Zachary Allen Hager, Ryan Arthur Vanater II, Hudson Ryder Vanater, Ledger Coal Vanater, Easton Malachi Vanater , Liam Lane Vanater and 5 great grandchildren Trenton Pickens, Hunter Pickens, Kawman Vanater, Hunter Childers, Jaxon Adkins. 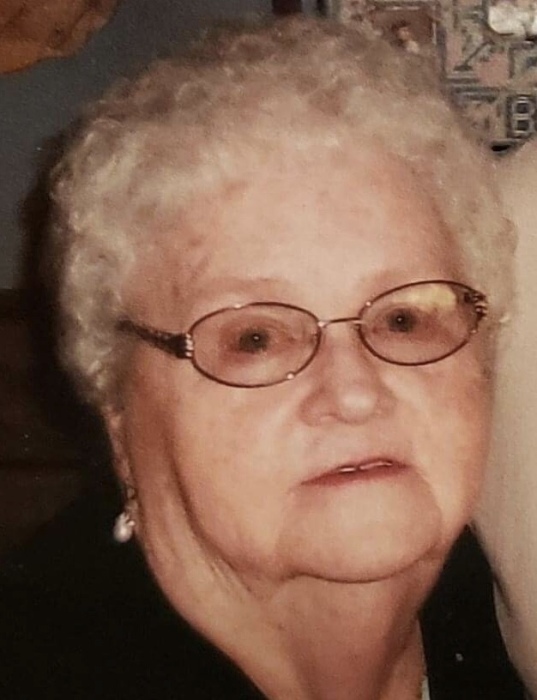 Orma, was a homemaker who raised four sons, a beloved babysitter in Hurricane and she had a special talent for making specialty cakes for all occasions. Funeral service will be 11:00 Friday, November 30, 2018 at Allen Funeral Home burial will follow in Mt. Vernon Cemetery. Visitation will be 6 til 8 on Thursday at the funeral home.